This was the first time, I have shopped with them and it was a good experience. 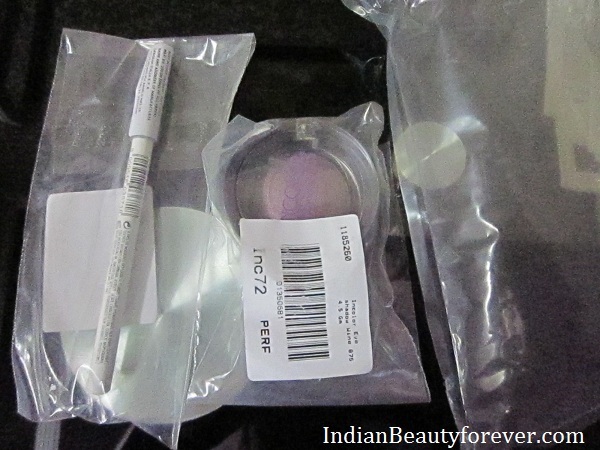 I ordered Deborah Milano kajal pencil inwhite and Incolor single eyeshadow in wine. You may refer snapdeal.com as your online shopping mall as it has everything that you would want right from shoes, apparels, gadgets, sports wear to cosmetics, health and living products. they have almost everything !! My products came in this white box white snapdeal written all over and I am impressed by the delivery time and how safely and securely all the products were packed so that there should be any damage. Moreover, there were small air bags that acts like cushion to protect the products! It was a good experience more like the way we have with most of the online shopping site but I was more concerned that it should not be bad. I chose cash on delivery so can not say whether it is safe for online payment or not. and definitely I will shop from them, I fact I have already placed an order! Even I shopped some novels with them around six months back..At that time they had bid discounts but they took a week to deliver unlike flipkart that delivers in 2-3 days..Since then I haven't shopped with them again. It's good everything went fine. Enjoy the things you bought! 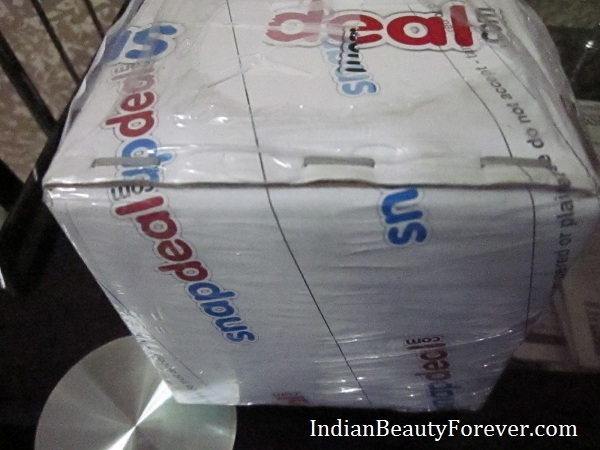 I did my first online shopping at Snapdeal but I had purchased salon deals and it was good. But when I bought MTV sunglasses with free MTV watch, both were faulty. They shipped almost after 15 days. Customer care is good for nothing and money back process took one month. Thank you Ishwarya.. hope it will be helpful for you!